Did you know that most Americans don’t get enough potassium? On average, we consume 2,400 – 3,200 mg/day. While this may sound like a lot, we actually suppose to be getting 4,700, according to the Institute of Medicine. Most of us also take in way too much table salt, about 3,400 mg of sodium a day while we are suppose to have only 2,300 max. Part of our problem is there is lots of salt in pre-packaged food and fast food. While we all know we should be cutting down our sodium intake, some foods just don’t taste the same without a bit of salt. 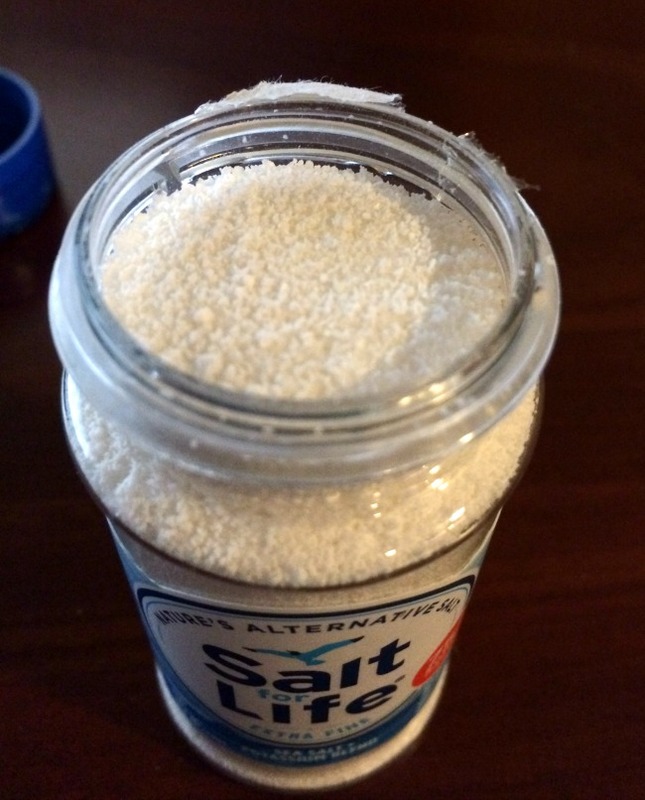 Luckily, we recently found an awesome alternative that is perfect for anyone dieting or medically needing to control their salt intake – Salt for Life. Salt for Life: What is It? Looking for a way to reduce your sodium consumption without forgoing flavor in your food? If so, we think you will love NuTek Food Science’s new salt alternative – Salt for Life. Unlike normal table salt, this is a blend of potassium salt from Canada and sea salt from Brazil, creating a healthier salt alternative without sacrificing taste. Actually, many professional chef and food critics think it improves and enhances the natural favors of food. With 75% less sodium than ordinary table salt (trading potassium salt for table (sodium) salt), you are also eating a lot healthier too using Salt for Life. Best of all, it also helps you get your daily recommendation of potassium, allowing your food to taste amazing and keep your body healthy! When I first opened my container of Salt for Life, I can honestly say I was nervous. I have tried alternatives like this in the past and most taste…well…wrong. Most of these, however, aren’t truly salt but something that tastes similar. Salt for Life is actually still salt, just a different type of mineral salt. While the taste is a bit milder, I will say that it is still tasty. I personally can’t wait to start cooking with this salt and seeing how it is in various recipes. For now, I do like the flavor and consider it a great alternative to table salt, especially for people with conditions who need to watch their sodium. Based on our own opinion, I am happy to give Salt for Life an A rating. Want to purchase this awesome table salt alterative for your own family? 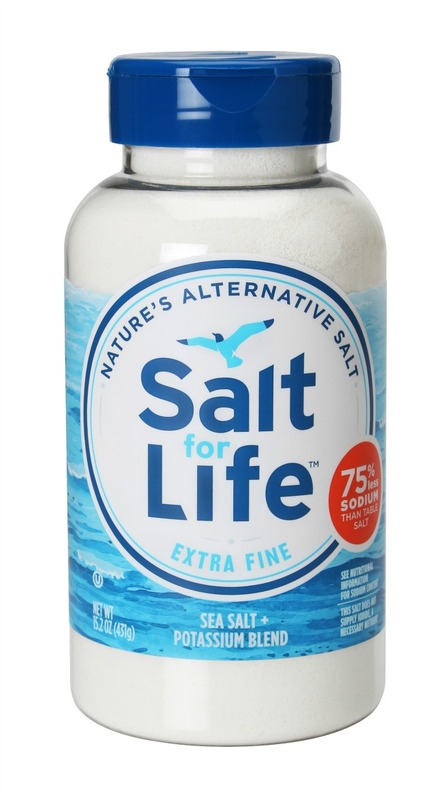 You can find Salt for Life on Amazon.com or a retailer near you! Want to learn more? Check out Salt for Life on social media! Salt for life sounds interesting. I will have to look into it more. I salt just about everything. Very heavily to the point that my husband can’t even take a bite off my plate. I should check this out. I’ve never heard of this product before but I’m definitely interested in trying it out, thanks for sharing! How come this is the first time I’m hearing about Salt for Life? We are trying to eat healthier. The Mr. is a saltaholic and I’m worried about his blood pressure and I’m running a bit high. I don’t need meds yet but soon if I don’t do something about my salt intake. I also have had problems with low potassium so this is perfect for me. I wish my Dr. or this had been mentioned to me months ago. Thanks for sharing this very important and helpful review. I’m on the hunt for Salt for Life and if my local grocers don’t carry I’ll be ordering it from Amazon! 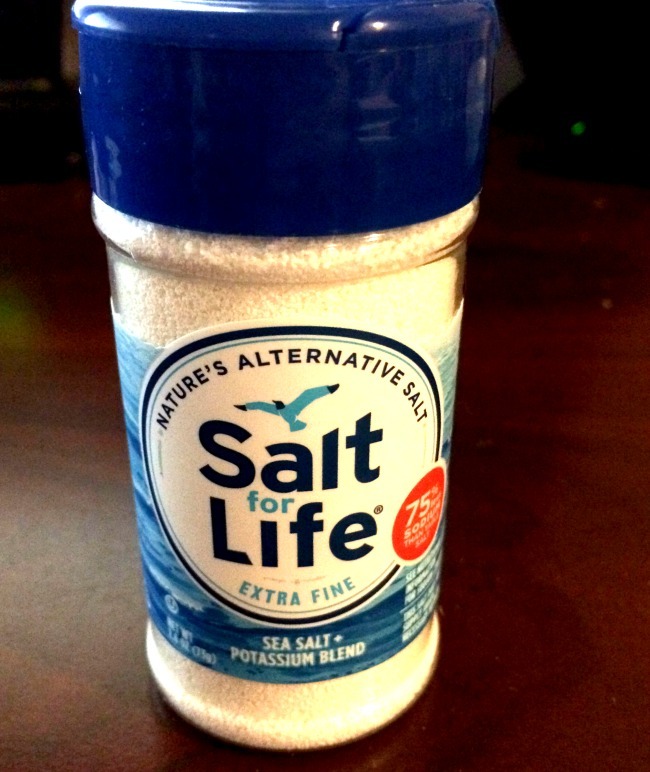 This Salt for Life would be perfect for me. I am on blood pressure medication.